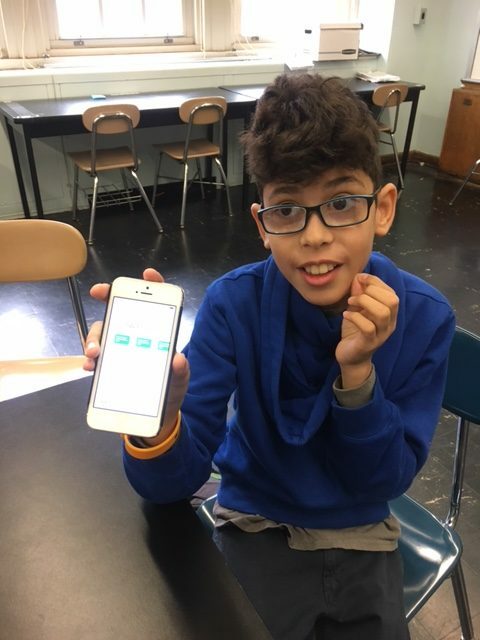 NEW YORK — Few middle schoolers are as clued in to their mathematical strengths and weakness as Moheeb Kaied. Now a seventh grader at Brooklyn’s Middle School 442, he can easily rattle off his computational profile. For struggling students, there is ample practice, until they get it. For those who grasp concepts quickly, there is the opportunity to swiftly move ahead. The strategy looks different in every classroom, as does the material that students must master. But, in general, students work at their own pace through worksheets, online lessons and small-group discussions with teachers. They get frequent updates on which skills they’ve learned and which ones they need to acquire. Mastery-based learning, also known as proficiency-based or competency-based learning, is taking hold across the country. Vermont and Maine have passed laws requiring all school districts to phase in the system. New Hampshire is adopting it, too, and developing a statewide assessment method that would replace most standardized tests. Ten school districts in Illinois, including Chicago, are piloting the approach. In 2015, the Idaho state legislature approved 19 incubator programs to explore the practice inside its schools. But what makes its adoption unusual here, in New York City — home to the largest district in the country with 1.1 million students — is that the 40-plus schools using the method are doing so voluntarily, as part of a grassroots movement. In communities where the shift has been mandated – high schools in and around Portland, Me., for example – it has faced considerable resistance from parents and teachers annoyed that the time-consuming, and sometimes confusing, change in classroom life has come from top-tier school administrators. Some contend that giving every student an unlimited amount of time to master every classroom lesson is unrealistic and inefficient. New York City Department of Education officials have taken a contrasting position. The city has a growing program called the Mastery Collaborative, which helps mastery-based schools share their methods around the city, even as they adopt different styles. To date, there are eight “learning lab” schools, whose practices are being tested, honed and highlighted for transitioning schools to see. M.S. 442 is one of them. Some struggling schools hope the shift will raise test scores. 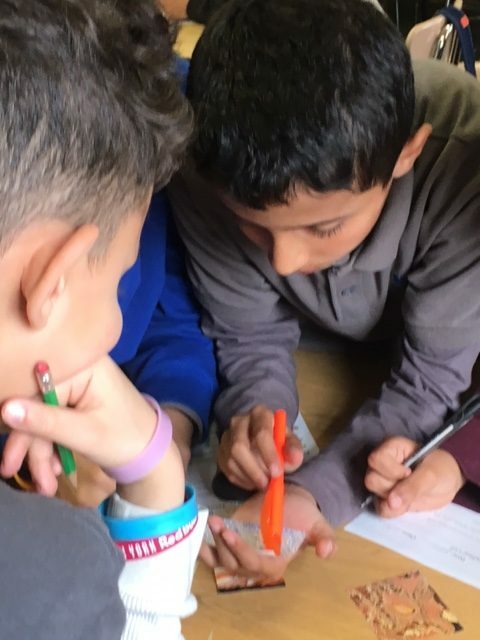 But the method is also growing in popularity among high-performing, progressive schools, as well as some catering to gifted and talented students and to newly arriving immigrants. This fall, the New York City Department of Education plans to make a concerted effort to spread the method further, by inviting schools into the Collaborative’s network to see how it works, even if they aren’t yet considering making the switch. They will be encouraged to attend workshops and school tours in the hope, one DOE official said, that they will find elements that they can use in their own classrooms. Several factors are driving this shift. The rise of online learning has accelerated it, and school technology providers have been fierce advocates. It’s no surprise that schools adopting the method are often the same ones that have invested heavily in education software and computers. The switch also comes as many schools are focusing more on analytical skills, hoping students won’t just memorize answers, but understand how they got them. Mastery-based learning can be traced to the 1960s, when Benjamin Bloom, a professor at the University of Chicago and an education psychologist, challenged conventional classroom practices. He imagined a more holistic system that required students to demonstrate learning before moving ahead. But the strategy was not widely used, because it was so labor intensive for teachers. Now, with computer-assisted teaching allowing for tailored exercises and online lessons, it is making a resurgence. Government policy has also contributed to its adoption. Under the federal education bill passed in 2015, states are permitted to forgo single end-of-year subject tests and use more nuanced measures instead. In the mastery-based learning world, this is largely seen as a positive move. Joy Nolan, one of the co-directors, with Jeremy Chan-Kraushar, of New York’s Mastery Collaborative, said the method gives students more agency and allows them to gain traction, no matter their level. “The mastery approach really puts the focus on you and your growth,” Ms. Nolan said. 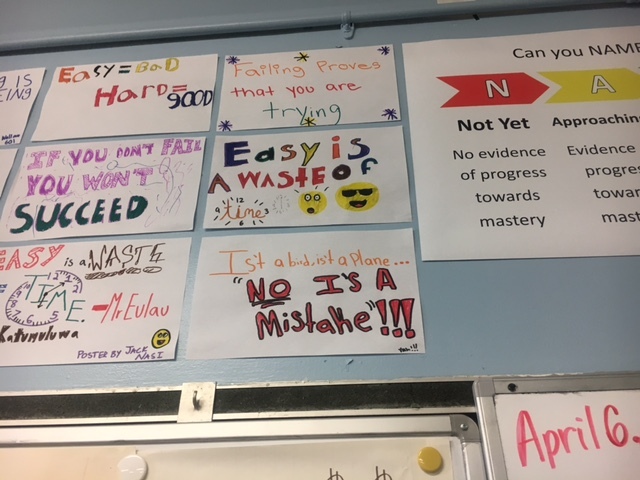 Some of the schools she assists — like North Queens Community High School — came to mastery-based learning as a way to help disillusioned and at-risk students. Jane Robbins, a lawyer and senior fellow at the American Principles Project who has written critically about mastery-based education, said she finds the checklist nature of the system anti-intellectual. While it may work to improve math skills, it is unlikely to help students advance in the humanities, she said. Others question its efficacy. Elliot Soloway, a professor at the University of Michigan School of Education, contends that students learn by slowly building on knowledge and frequently returning to it. He rejects the notion that students have learned something simply because they can pass a series of assessments. He suspects that shortly after passing those tests, students forget the material. “Mastery folks don’t understand the fundamentals of what learning is about,” Mr. Soloway said. Advocates respond that the current education system is not working. Too many students leave high school ill prepared for college and careers, even though traditional grading systems label many of them top performers. Last year, only 61 percent of students who took the ACT high school achievement test were deemed college-ready in English. In math, only 41 percent were deemed college-ready. Even advocates say the system has its problems. Switching to mastery-based learning requires a great deal of coordination. “It’s not an overnight thing,” said Lisa Genduso, the math coach for M.S. 442. It can also meet with resistance from faculty members who aren’t keen on experimentation. The year M.S. 442 moved away from the traditional system, it lost seven teachers. But Moheeb defended his school’s approach. 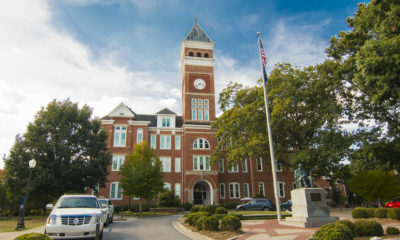 It encourages students to “work on what they’re struggling with,” he said. “It’s different for different kids,” he added with a shrug. In New York, where students speak more than 200 languages and arrive in classrooms with varying degrees of proficiency, some schools adopted the method out of necessity. At Flushing International High School, dominated by recent immigrants, mastery-based learning lets students concentrate on learning English. This gets them speaking, reading and writing as quickly as possible, while also rewarding them for picking up academic skills and knowledge. In a biology classroom, for example, lab reports are evaluated on the student’s understanding of concepts as well as on a command of scientific vocabulary. The Young Women’s Leadership School of Astoria educates girls who may become the first in their families to go to college. In addition to fulfilling Common Core requirements, assignments are designed to help students learn critical thinking and workplace skills. Students engaged in a group history project, for example, might need to demonstrate that they have learned to collaborate and investigate. For a solo science assignment, they might be asked to demonstrate that they can innovate. At Moheeb’s school, the approach has been transformative. In the 2013-14 school year, 7 percent of its students read at grade level, and 5 percent met the state’s math standards. Two years later, 29 percent were proficient in English and 26 percent proficient in math, pulling the school close to the city average. This year, all the eighth graders at the school who took the algebra Regents exam and 85 percent of those who took the earth science exam were marked proficient. The scores signified a high point for M.S. 442, teachers said. In lieu of grades, students are assessed on a color-coded scale: Red means not yet meeting the standard; yellow, approaching it; green, meeting a standard; and blue, exceeding it. The scale is designed to be visually appealing and to encourage students to think of learning as a process. To meet grade level for each skill, students need to prove three times that they have acquired it. They might explain to a teacher their process for working through problems as a way to show they understand the material. Or they might perform well on an online test or a quiz. Progress throughout the year is cumulative, meaning that even if students don’t grasp something early on, as long as they learn it by the end of the year they will get a “good” grade. The school also has an online point system for behavior. Genduso, the math coach, said the approach helped with M.S. 442’s unusual student population. A third of the school’s students require special education assistance; they attend classes with the mainstream, including many high-performing students. Even with two teachers (one trained for special education), it was difficult to engage everyone. In late 2012, educators at the school were trying to think big. Housed on the second floor of a sprawling brick building on Hoyt Street, M.S. 442 was 14 years old and struggling with low test scores and declining enrollment. It had done a poor job of attracting families from the neighboring brownstones, and many teachers were dispirited. The school shed its name, New Horizons Middle School, and introduced computers. Some teachers began using computers for in-class lessons. Another group thought they would complement the student advising system. The brainstorming led to conversations about what had been happening inside classrooms and whether a new approach was needed. Eventually, the school decided to switch to mastery-based education. Still, the move was slow. First, the school offered more hands-on group projects. For a seventh-grade math unit on ratios and proportion, for example, the class opened a pretend catering company. Students practiced their math skills as they figured out pricing and discounts for their menus. The following year, the school transformed its mentoring program. Students set behavioral goals and logged online. They could determine to be on time more often, do their homework more regularly or talk less in science class. Their mentors noted their goals and the progress made. The platform was a hit with students and with teachers, who believed it empowered children to think about their growth in new ways. Finally, in the 2013-14 school year, educators at the school came up with a list of desired academic outcomes. If students could be motivated by an online log to stop talking in class, perhaps a log would motivate them to learn to write an introductory paragraph or add fractions. Engaged by the project, Jared Sutton, a 27-year-old algebra teacher, developed a software program for the school’s grading system. It is lovingly called the “Hive.” And it’s the Hive that Moheeb enters, via his iPhone or a classroom computer, when he wants to check his progress, which he does multiple times a day. “I don’t think we should leave it at that,” said Priyanka Katumuluwa, their teacher, who leaned over their desks as she pointed to the problem. Both boys looked up at her, then down again at the page. They were listening intently. This story was produced by The Hechinger Report, the nonprofit, independent news website focused on inequality and innovation in education. Sign up for our newsletter.